Five more fish have been landed since my last update here at Delphi, which brings our season total to 29. There were three fish landed on the 15th, one of which was included in my last update. 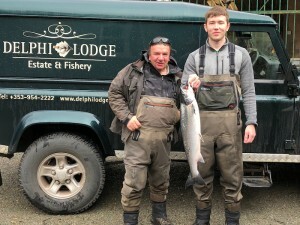 Alan Molloy who had returned a fish on the 14thhad a fish off Finlough of 7lbs7ozs at Boat Point on a Willie Gunn. Well done Alan, two fish in two days is no mean feat this time of the year. 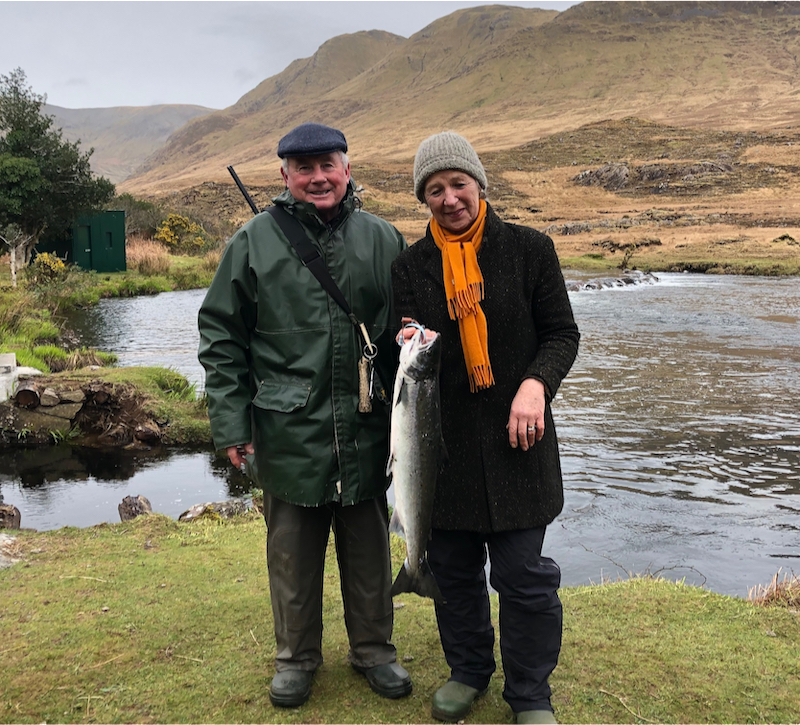 About the same time Claire Moore, under the watchful eye of Peter Joyce, had a fish of 5lbs14ozs from the Whin Pool on a Delphi Collie, her second ever salmon. We had heavy rain on Friday night and the river was running at 85 so fishing was difficult. 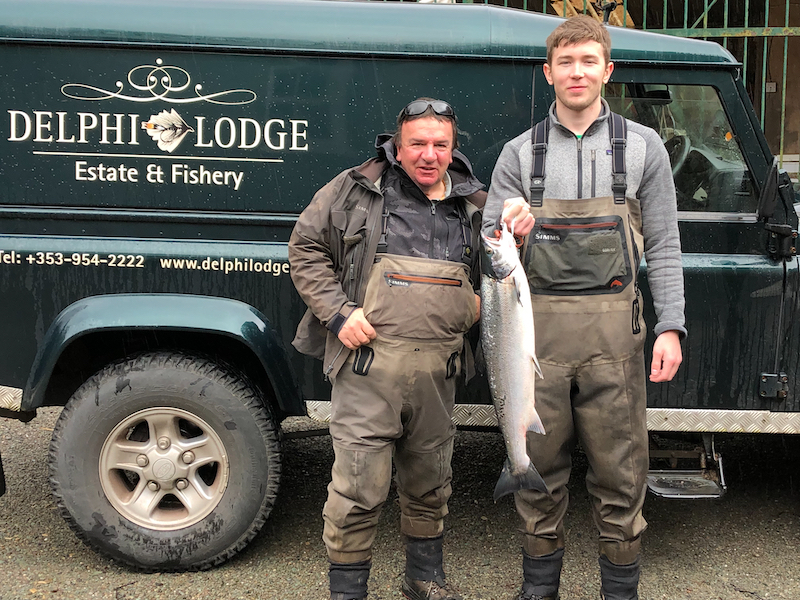 On Sunday, Paddy’s Day the river was at 65 and there were five anglers including four experienced Midland men who managed to land two between them. Wayne Byrne had a fish in the Whin Pool on a Red Snaelda of 7lbs4ozs. 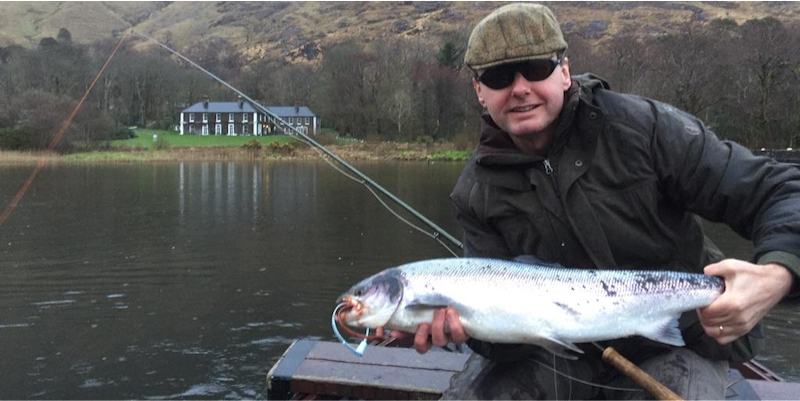 In the afternoon Mick Kelly had a nice fish from the Turn Pool of 9lbs11ozs on a Willie Gunn. We had more rain on Sunday night and the river was over 70 again. 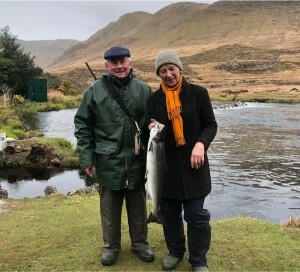 Michael O’Kane had a fish from the Waterfall of 8lbs8ozs on a Nightstar.